Welcome to this guide about Lagos State Universal Basic Education Board Recruitment 2018. The official website/portal of Lagos subeb still remains; subeb.lagosstate.gov.ng. All the information here is for you to know how Lagos subeb recruitment is done. Let’s give you a good information on about Lagos State Universal Basic Education Board first. The number of children requiring education in public schools is currently increasing further as students in private schools are seeking transfer to public schools, especially at Junior Secondary level. The large number puts the system under strain and this is demonstrated through the census data on basic education schools facilities. 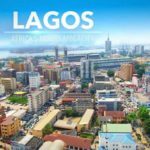 If you want to be Lagos State Universal Basic Education Board Recruitment 2018 candidate, then you must have Merit Grades in Education and Core Subjects. Successful applicants must be ready to work anywhere within the state. Non teaching staff already in the employ of LASG with NCE in the subjects listed above should apply afresh. Kindly note that the online application registration form for 2018 Lagos State Subeb JOBS is currently out. If you want to confirm whenever Lagos state subeb jobs application registration is out, kindly visit subeb.lagosstate.gov.ng. Drop your comments about Lagos State Universal Basic Education Board Recruitment 2018 for more information. Jamb Registration 2019 Form – See 5 Things You Must Know! 78RRI Nigerian Army Exam & Zonal/States Screening Date is Here? For those that has applied please what is the next step???? please notify me i will be glad, thanks you. You ll b notify n ur mail…d form is out nd closed..
Am interested in taking economics. How can i apply? Im interested in taking CRK or social studies but how can one apply? I filled the form and applied. But it was not acknowledged whether successful or anything. Please I need the form . how can I get it? Pls notify me when the form is out. I would like to work with Lagos state. please notify me whenever the form is out. his the form out now? Pls notify me when the portal is open. I studied Christian religious study from Tai solarin university of education. please notify me once the form is out, thanks. please kindly notify me once the form is out, thank u.
Kindly pls update me,when the form is out. I study adminstration. I have keen interest and I also have B(E.d)in English language and literature studies from Tai Solarin University of Education coupled with experiences I have in teaching profession. please, kindly inform me when the form is out. Thank you. I studied HEALTH EDUCATION from Tai solar in university of education. Please I need a teaching job under Lagos state government.Nce English Education,B.ed Educational Guidance and Counseling. please, notify me if the portal is open. Pls notify me when the on line application is out. Pls don’t understand this process anymore, is the recruitment form out, pls when it’s out inform me, thanks. please the portal is not opened, please notify me if it is opened. Pls inform me when the portal is out. I am Oyeleye Ebenezer Ayomide, I studied Mathematics from Federal University Of Agriculture, Abeokuta. I have more than five years teaching experience. I need a job with Lagos State Government. Thanks. Please, I need a teaching job in Lagos, am an NCE holder in Basic Science and Biology, please for God sake, let me know if the form is out, God bless SUBEB, God bless Lagos State, Eko oni ba ooo! please,kindly notify me when the form is out. I’m Ishaaq Abdulhakeem Yusuf, a graduate of Arabic language. I look forward to getting employed as an ARABIC/IRS teacher under SUBEB, Lagos State. Please notify Me when recruiting. Thanks. Please, kindly notify me when the form is out. I have B.Ed in political science. Please am interested . Kindly inform me about the form when is out cos am interested. I Oduyale Adekemi Grace a graduate Business Education (ED) hereby apply as a Business Education teacher under Lagos State Teaching Service .Please notify me when the form is out. I would like to teach in secondary school to be precise…please notify me when the form is out…Thanks in anticipation. Kindly, let me know immediately the form is out. Lagos State Government is set to recruit 1,000 Teachers for Primary and 1,200 for Secondary Schools, visit http://jobs.lagosstate.gov.ng from 12 a.m, Friday, 31st August, to 12 Midnight, Thursday, 6th September, 2018. Please and please, keep me posted as soon as the form is out. I have an NCE Certificate in English/CRS and a Degree Certificate in Linguistics and Nigerian Languages. Kindly keep me posted when the form is available. Thanks. Please ,kindly keep me posted when then form is out. Am also interested in working under Lagos state government. Am second class upper graduate in primary education studies/ social studies. from Unilorin. any vital information as regard the subject will be highly appreciated. I will be most glad and grateful to God if I’m considered to work in your establishment . 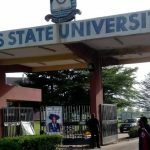 PGDE Education in social science at LASU. I need a job in Lagos state. I have my NCE in social studies/primary education studies and in view with my degree program. Pls notify me wen the form is out.Thanks. Pls sir i need a teaching job under secondary school in lagos state .iam n.c.e holder i also graduate from adeniran ogunsanya college of education. Pls sir i need a job under secondary school in lagos state .iam an n.c.e holder and graduate from adeniran ogunsanya college of education. I will be pleased to know when the form will be out. I have B. Ed (Edu/English).I am presently waiting for my M. Ed certificate and I have experience too. pls notify me when the form is out. Am an NCE gratuate in biology/geography. Pls inform me when d form is available. i am a graduate.i need a teaching job under lagos state goverment.B.AED english. I am a graduate of Agricultural Production and Renewable Resources. Pls keep Me posted when the form is out. Please I will be glad if only I can be carried along once there is any latest information about any government jobs in Lagos state is out thanks God bless you. pls I am interested in the teaching job. Please am very much in need of this job, I have a degree in English Education. please keep me posted once the recruitment form is out , i have a distinction in M.Ed (science education) from LASU and also a first class degree B.Ed (biology education) from University of Ibadan. Pls notify me when the form is out for recruitment. please kindly notify me when the form is out, I really need it. Thanks . Good day and well done, kindly keep me posted when the recruitment form is out. I am very much interested in this job. kindly update me. please notify me when the form is out, I have B.Sc. (Ed.) in Political Science Education. I’ve been longing to be a teacher under Lagos Government. Do notify me when form is out for recruitment. Primary Education Studies and English language. I Ajiboye Moyoade a graduate in Business Education B.Sc (Ed) and NCE in Business Education hereby apply for a post under Lagos state teaching service. I Oluwafunmilola Messigah a graduate in English (Ed) hereby write to apply for the post of a Teaching Officer at the Lagos State Civil Service Level. I will be glad if my request is considered. Looking forward to working with you. I have HND in microbiology and post graduate diploma in Microbiology. Please keep me abreast when the form is out. Please notify me when the form is out.Thanks. Pls, inform me if the form is out. Please I have a degree in economics and social studies..can I apply? Pls keep me posted when the form is out I am interested. Please notify me when the form is out, I have b.ed in physical and health education. Thanks. Please, notify me when the form is out. pls update me wen the form is out,I HV Nce n business education nd B.ed n early childhood Education.I ll luv to work with subeb..thanks..primary school to b precided.. I am interested in Lagos state Government job, I have a B.Ed in Mathematics. i am interested in teaching job. i have 15years experience. Please inform me as soon as the form is out. 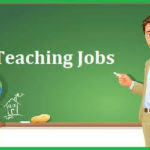 Am interested in the teaching job. I have a lot of experience and am also an educationists. pls kindly notify me when the recruitment process for Lagos state teachers is on. pls i need a teaching job under the Lagos state government have a degree in religious studies. I am an HND holder.I need a Mathematics,Computer studies and Chemistry jobs in both Junior and Senior Secondary Schools in Lagos state. please i need a teaching job under the Lagos State government. preferably the junior secondary school. i have a degree in business education. Can a third class graduate apply?